Over the years, Transglobal Underground have been as well-known for the other artists and projects they’ve worked with as for their own work. 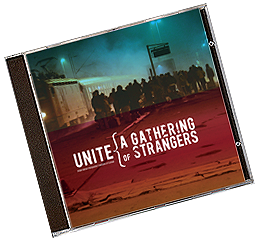 Their best known collaboration was with Natacha Atlas’ solo career and her own website can be found in the links section; this section gives an account of the side-projects TGU have founded themselves. “Destination Overground” is a compilation containing tracks from the original releases Natacha sang on with TGU, along with other work they’ve done since, including 3 new or unreleased tracks. 2 years ago Transglobal Underground were asked to remix a couple of tracks by Albanian brass masters Fanfara Tirana for an album in which the Tirana based band were developing away from their Balkan brass beginnings and including much more specifically Albanian traditions into the sound, notably featuring the stunning voice of vocalist and folklorist Hysni Niko Zela. Little did anyone know at the outset how big a project this was going to grow into…..